Following the American Revolution of 1774-83, the British Parliament enacted the Constitutional Act of 1791, which divided Canada into two provinces, Lower and Upper Canada. Immediately, a new period of settlement began; and not only did immigrants come from the British Isles, but many Dutch settlers from Pennsylvania, Quakers from New England, and thousands of United Empire Loyalists from the nearby American States poured into this territory to hew out new homes for themselves in the bushland that was later to become Ontario. They brought with them little in the way of worldly possessions, but they were richly endowed with stout hearts, ambition, the will to work, and a burning desire to retain and exercise the religious and political freedoms for which so many of their forefathers had left the old world. The Methodist denomination was, as usual, one of the very first to establish its organization in the new country. It is said that the Presbyterians have the congregation first, and the church afterwards; but the Methodists the church first and the congregation afterwards. Once the original settlers had erected a cabin and secured a roof over their heads, the next project to receive immediate attention was a place in which to worship. In those early times, church services were quite frequently held in private homes. Gradually churches were constructed, and by the end of the nineteenth century the rural landscape was liberally dotted by religious edifices, where the Gospel was solemnly expounded by ministers of various denominations. The saddle-bag preacher was so called because of the fact that he traveled on horseback over the muddy, backwoods trails, equipped with only a few essentials – a change of clothing, some hymn books and bibles – which he carried in a saddlebag. Some idea of the dedication, enthusiasm and physical endurance of these men may be better understood if we look at the extent of two of the seven Circuits then existing in Upper Canada: for example, in 1802, the Rev. Nathan Bangs was assigned to the Bay of Quinte Circuit, which covered the area from Kingston in the east, west to York, then north to Lake Simcoe, and back; the Yonge Street Circuit, when set up, included “Little York”, the old surveys of Toronto, Trafalgar, and Nelson Townships, and the townships on both sides of “the street” (Yonge) from the Bay of Toronto to Lake Simcoe – i.e., Scarborough, Pickering, York, Etobicoke, Vaughan, Markham, King, Whitchurch, and East and West Gwillimbury. Such an extensive territory would be no sinecure under ideal traveling conditions, but the saddle-bag preacher, along with one or two assistants, was expected to cover his Circuit in from two to four weeks. So it was that, with no churches at their disposal, the Circuit Riders visited the settlers in their homes and held services for worship and prayer. Space does not permit us to recount the details of their individual efforts, but among the saddle-bag preachers who carried on their work so effectively in this area were the Reverends William Case, Peter Jones, Ezra Adams, James Hacking (a Congregationalist), Robert Corson, William Corson, Thomas Fawcett, Thomas Crawford and David Culp. 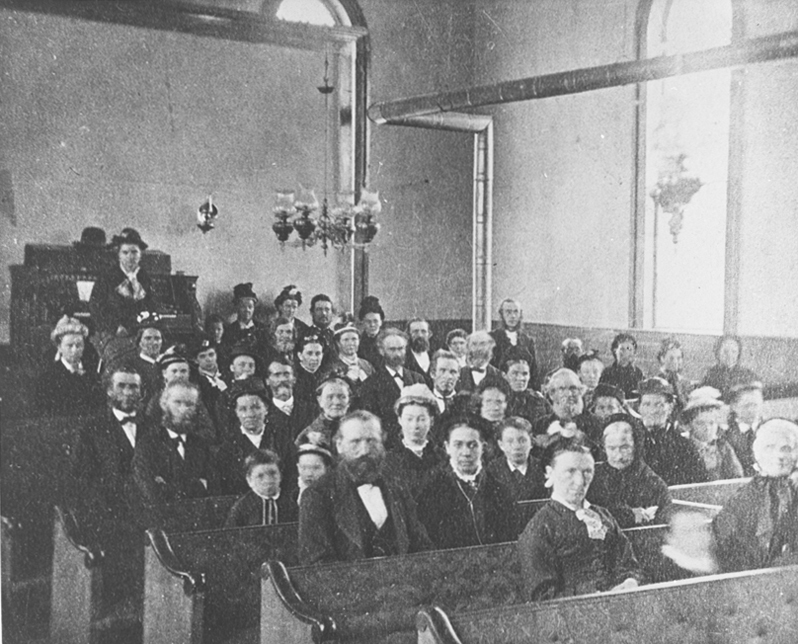 Revival camp meetings were important features of their mission, and the records tell of as many as 150 converts being brought into the church at one service. It should be mentioned that among the early preachers who served in Ontario were William and John Ryerson, brothers of the Dr. Egerton Ryerson who established his reputation as an educationalist in Upper Canada. Methodism developed in eighteenth-century England from the teachings of John Wesley. It is evangelical in nature. Methodism came to the Province with the earliest settlers. The Methodists were quick to send missionaries among the emigrants. 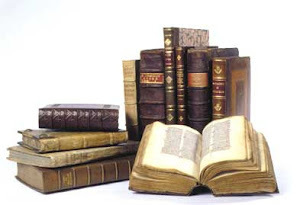 It had numerous sects, of which the most prominent are the Wesleyans, Primitive Methodists, New Connexion Methodists and the Methodist Episcopal Church. By 1884, these groups had united, and in 1925 the Methodist church merged with the Congregationalists and most of the Presyterians to form the United Church of Canada, which is now the country’s largest protestant church. The Methodist Church, Canada (1884-1925) was formed by a merger of the Methodist Church of Canada with 3 smaller Methodist bodies…The Wesleyan, the Primitive, and the Methodist New Connection, were amalgamated into one body in 1874, and became the Methodist Church in Canada. The Methodist Episcopal Church which was sponsored by American Bishops until 1832, kept their identity until 1883, when they united with the Methodist Church in Canada. When Ranald McKinnon arrived in Bryant’s corners in 1835 as a contractor on the Grand River Navigation Company, there wasn’t much here except a tavern and a couple of log houses. The place did not have much going for it other than it was located on a trail running down the Grand River. McKinnon was here to work on a dam and a lock that were to be built here for the Grand River Canal, which would allow shipping to move down the river to the Welland Canal feeder at Dunnville. In addition, he took the opportunity to build a couple of mills, which would use the waterpower created by the dam. Born on the Island of Mull in Scotland in 1801, McKinnon emigrated with his family to Delaware County New York in 1805 and then to Canada in 1820. Later, Ranald found work on the construction of the Rideau Canal and he used the experience he gained there to built the dam and lock here. This was to be the last lock and dam on the main stretch of the river. Additional locks and a cut were later made at Brantford but the first phase of the plan was to have five dams and five locks, and four of each had been finished by the time McKinnon got here. The company had laid out a village, called Seneca after the township, at lock 4 just downstream and Jacob Turner, who had been the contractor there, had already set about building a sawmill. Squire McKinnon, as he was called later, intended to do the same here, even though he had no experience in operating a mill. His mill was built on the east bank just south of the present railway bridge. The mill was next to the lock. The dam across the river was just north of the present dam (actually a weir). A flume that fed water from the upriver side of the dam to the mill can still be seen. The village laid out around the mill, lock, and dam was called Oneida. Meanwhile, James Little, a friend of Hamilton Merritt and an employee of the Grand River Navigation Co., had built a home and a store in Seneca. Little was an Ulsterman and was born in Londonderry in 1803. In 1836, he heard that a road was to be built from Hamilton to Port Dover and that it would cross the river over a bridge to be built near Oneida. In anticipation, he bought land on the west bank of the river and built a hotel there. The hotel, called the Haldimand House, is still there, although a little worse for wear. After the Hamilton and Port Dover Plank Road went through, Little expanded his interests, building mills on the south side of the river, property on the north side, and lumber mills everywhere. By the 1860s, the lumber industry in southern Ontario was in decline so he moved his interests to Quebec. Later in life he became a tree conservationist and was responsible for many of the regulations for preventing forest fires. The Hamilton and Port Dover Plank Road, now Highway 6, was completed in 1844 and by then Caledonia had been established, incorporating the villages of Oneida and Seneca and the small community on the west bank. The name Caledonia was given to the town by Squire Ranald McKinnon in recognition of his country of birth. Caledonia is the poetic name for Scotland. Grace United Church was erected in 1877. 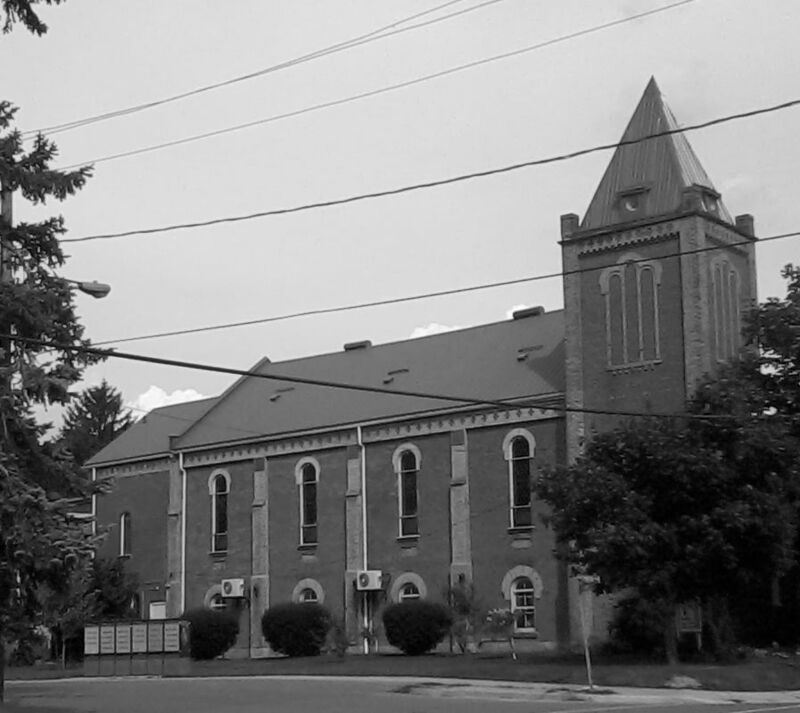 After the union of the Wesley Methodist Church (Seneca Village) and the Methodist New Connexion Church in 1874, the members of the Seneca Methodist Church decided to build a new church in Caledonia. Lot 16 on Caithness Street east was selected and purchased for $500. The architectural firm Messer, Mellis and Son of Brantford were hired at cost of $90. On the 25 of September 1877, the cornerstone for the brick church was laid. There was a handsome pipe organ installed in the church. The original building stood until 1905, when a new addition was added at the front and rear. In 1955, another addition was added to the east side. III. Sing all. See that you join with the congregation as frequently as you can. Let not a slight degree of weakness or weariness hinder you. If it is a cross to you, take it up, and you will find it a blessing. V. Sing modestly. Do not bawl, so as to be heard above or distinct from the rest of the congregation, that you may not destroy the harmony; but strive to unite your voices together, so as to make on clear melodious sound. VI. Sing in time. Whatever time is sung be sure to keep with it. Do not run before nor stay behind it; but attend close to the leading voices, and move therewith as exactly as you can; and take care not to sing too slow. This drawling way naturally steals on all who are lazy; and it is high time to drive it out from us, and sing all our tunes just as quick as we did at first. In the 19th century, major fur trade routes in Canada ran from the Western prairies along the North Saskatchewan River via Lake Winnipeg to York Factory on the shores of the Hudson Bay. Just as the trade routes for furs ran from the Western prairies to Britain, so to did the lines of communication for these missionaries. The first Methodist missionaries to the Canadian West came directly from Great Britain. Governed from England, these first missionaries carried no intention of helping to establish a Canadian state or desire to transform Aboriginal peoples into Canadians. While their teaching and counselling promoted settled communities and was grounded in a 19th century Victorian understanding of “civilization,” it also recognized that traditional means of gathering food needed to be augmented with crop cultivation to ward off famine. In England, Methodist ministers journeyed from town to town, preaching in fields and village squares. Methodist missionaries in Canada also travelled, seldom having a permanent residence. Often the mission buildings were left empty as the missionaries travelled with bands of Aboriginal people. At the time of the coming of the Loyalists to the settlements along the banks of the St. Lawrence River, the Kingston – Bay of Quinte region, Niagara area and along the shore of Lakes Ontario and Erie, many brought a firm commitment to John Wesley, the founder of Methodism and his followers in the Thirteen Colonies. In 1791 William Losee received permission from the New York Conference of the American Episcopal Church to pay a second visit to the Bay of Quinte area. The purpose of this mission was to establish Methodist circuit organization. 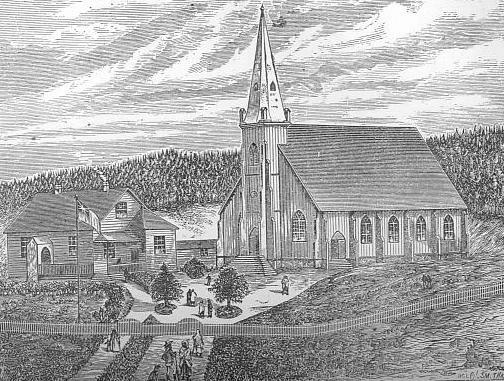 Within a year of his coming, this twenty-seven year old lay missionery had directed the founding of the first of two Methodist churches in Canada: one at Hay Bay (still in existence) and the second at Ernestown near Bath. These two chapels, as they were called, were built on the Kingston Circuit – the first circuit to be organized by the Methodists in Canada. More circuits were added in proportion to the growing membership until in 1798 Upper Canada became a separate ecclesiastical district having eight circuits, each with its own preacher and almost two thousand members. The Smith’s Creek Circuit began around 1805 and was so called from the name of a stream which runs through the Township of Hope and empties itself into Lake Ontario at Port Hope in Durham County. Until 1817 the circuit comprehended a part of Prince Edward District with the Belleville Country and all the road from the Trent to the border of the Yonge Street Circuit. Methodist Episcopals in Belleville area first met together as a gathered congregation in 1810. Their first meeting place was not a duly constructed church building on Crown Lot 18 on the west side of Pinacle Street between Dundas Street and the Market Square. In 1817 the Belleville Circuit began in its own geographical right. It covered the Town of Belleville, Thurlow Township and continued west including Sidney and Murray Townships. The Hallowell Circuit also broke out of Smith’s Creek in that year and co0ntinued until 1850 when it changed its name to the Picton Circuit. The Cobourg Circuit took over the rest of Smith’s Creek Circuit. The Bay of Quinte Circuit was formally known as the Cataraqui Circuit. The circuit received its name for the Bay which separates the County of Prince Edward from the Hastings and Lennox Counties. It began early, in 1795, with 265 members and grew to as many as 930 members in 1826. This circuit was divided into the Bath and Napanee Circuits in 1840 and had a membership of 721. According to available church records, this circuit covered Frederickburg, Napanee, Richmond, Tyendinaga, Ernestown, Camden and Amherst Isle. Relations between the Canadian and American Methodist communions were adversely affected because of the political climate in the post-war years. The First Canada Conference held at Picton in 1824 voted to petition the American General Conference for Canadian independence and at a meeting in Pittsburg on May 1, 1828 the Canadian petition was formally accepted. 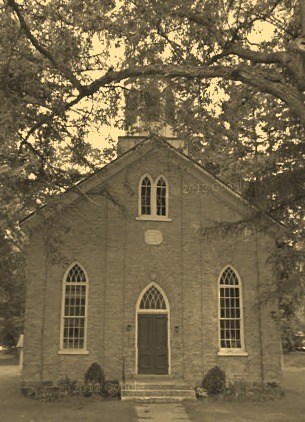 The Methodist Episcopal Church in Canada began in that year. The congregation was at first on the Berlin Circuit (established in 1819), which separated from the Dumfries Circuit in 1854. Rev. Matthew Holtby was the first minister; the first church, of logs, was built in 1845 and replaced in 1856 by a new stone church. 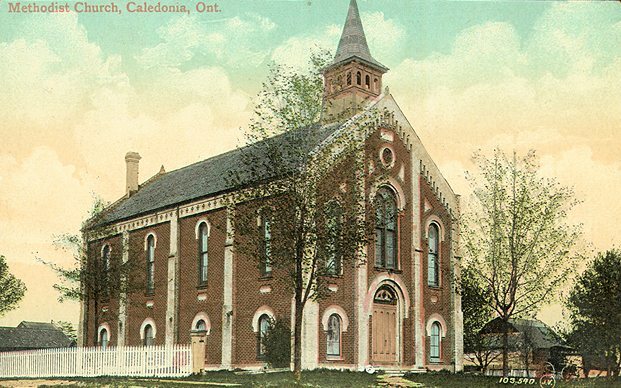 The congregation was later part of the Elmira Circuit, along with Conestogo, until 1915 when it was closed because of a decline in the size of the congregation. Members then worshiped in either Conestogo or West Montrose. The records have not been found. However, Wesleyan Methodist Baptisms for Waterloo County 1858-1869 are in an indexed card file at the Kitchener Public Library. References: Davis 1948:14; Devitt, WHS 1947(35):45; Dunham 1941; R. Taylor 1986. In the 1860′s Winterbourne was a mission project of Trinity Methodist Church in Waterloo. When the Rev. Andrew Miliken was preaching with all the gusto he could muster to win souls for the Lord, a little black animal with a white strip down its back, rushed into the room and disrupted the meeting. Even the offering was forgotten in the haste that day to vacate the room.